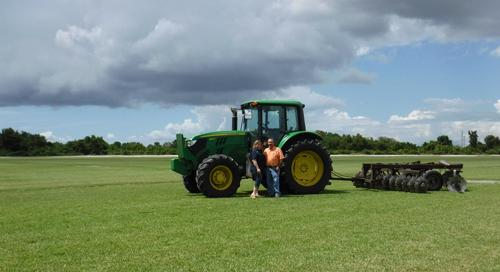 The Council Family has been farming in the Tampa Bay area for four generations in the Ruskin area, and in the sod business since the early 1980s. Council Growers continues that tradition under owner Travis Council. When you call our company you speak with turfgrass growers that are not simply brokering a sale. We pride ourselves on being knowledgeable about these grasses since we have grown them on the farm from start to finish.YOU ARE BUYING DIRECT FROM THE FARM. Our commitment to the customer is to bring you specialty turf grasses that go beyond what is commonly available. Our farm locations are located in close proximity to the Tampa Bay area, allowing us to generally have lower freight charges and provide better service to our customers. We service the entire Tampa Bay area and surrounding counties out of one of our two locations- our original farm at Wimauma in Hillsborough county or our Parrish farm in Manatee county. So whether you are in Brandon, Sarasota, St. Pete or anywhere in between- we typically are the closest farm to you. Plus, most of our competitors are reselling purchased sod, we are one of the few farms that sells direct. Of course there are times when we are out at our farm and we bring sod in that meets the same standards that we strive for from our farm. 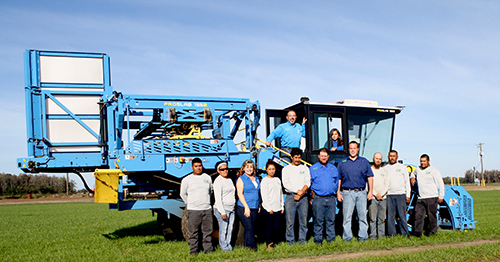 We are not new to the sod business, we are NOT a fly-by-night operation, and we don’t operate with a lot of fanfare. What we do is grow our own grasses in sand based soils that match yours. We understand the time and effort, care and pride you put into maintaining a perfect, beautiful lawn, because we put the same time, care, effort, and pride into the products we bring to you. We can supply anything from a few pallets for your yard; sprigs for your golf course; 48” big rolls for your community park- you name it. We offer pick-up at the fields, delivery to your location, and can arrange installation if needed. Date of Origination of Farm: Council Growers was incorporated in 1988 but our family started farming in the late 1800s. Our great grandfather Columbus Lee Council started farming on Terra Ceia in Manatee County in the late 1800s. 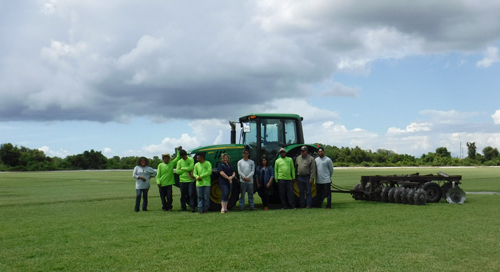 Council Growers is a small citrus and sod operation based in Ruskin, Florida. Over four generations of the Council family have farmed in the Ruskin area growing everything in the fruit or vegetable bowl at one time or another. The bigger crops over the years have been Cattle, Tomatoes, Citrus, and Sod. Our current farm was founded by Pat and Jean Council and to this day Pat and Jean are our sounding boards and sources of wisdom and experience and the occasional tractor driver or book keeper when called upon. Todays operation focuses on fresh and juice fruit as well as a full service sod farm. 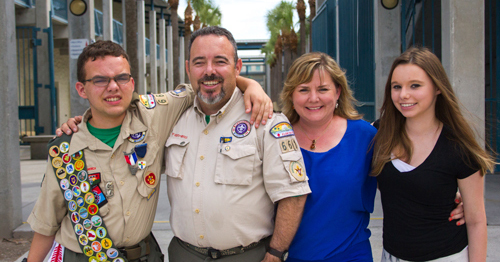 We strive to provide the best customer service along with the highest quality sod available. When you are buying from Council Growers, you are buying from the family!